Melt Ecclectic Cafe in Northside – Go There. Try That. Melt Eclectic Cafe in Northside. 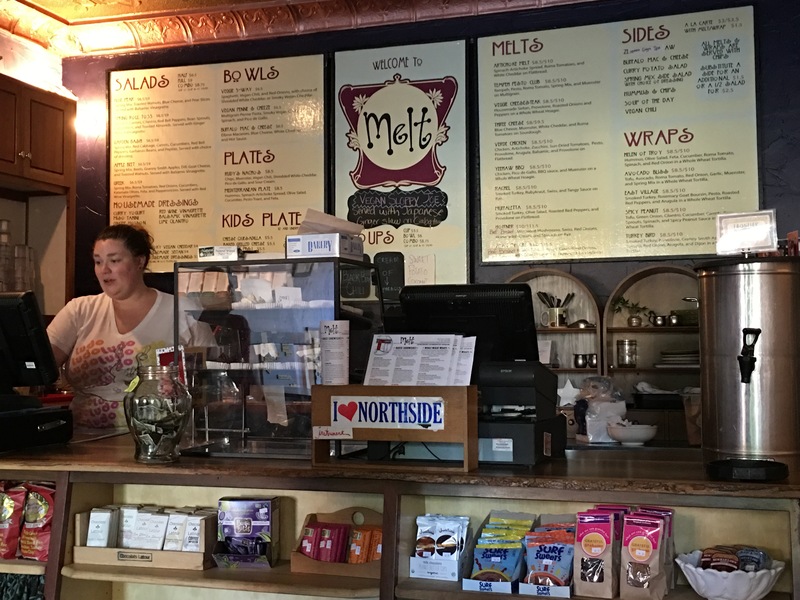 I’m embarrassed to admit that my first visit to Melt Eclectic Cafe, years ago, was clouded by my slightly uncultured tastes at the time and by my false understanding that Melt was strictly vegan. If I’m honest, I liked what I ordered all those years ago, but definitely would not have admitted it at the time. 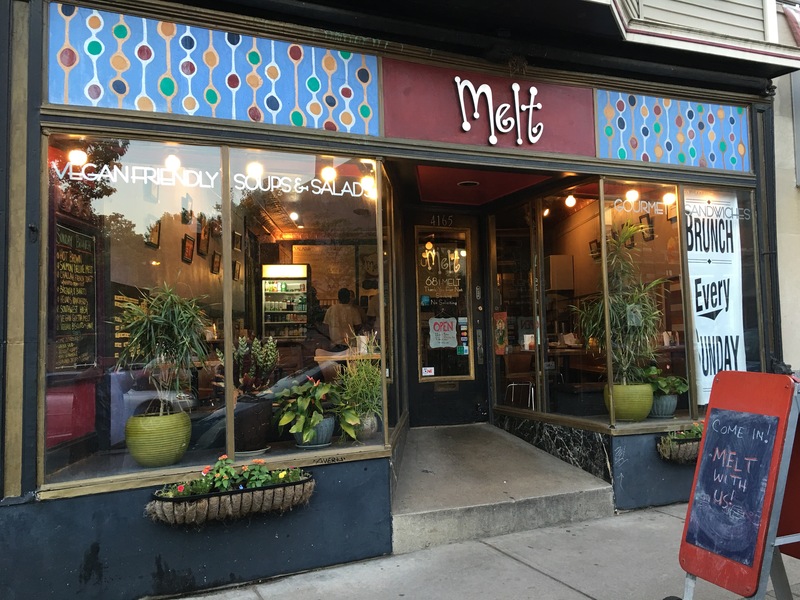 Thankfully, my tastes have evolved; I’m much more open-minded, and, for my fellow carnivores out there, Melt is a vegan and vegetarian friendly place in Northside, but, it does serve plenty of meaty options (free of hormones, preservatives, and antibiotics). In fact, many of the sandwiches can be made meat, vegetarian, vegan, and gluten-free! Pick your delicious poison! Place your order at the counter, have a seat, and your food will be delivered. Eating at Melt feels good . . . feels healthy. The gourmet soups, salads, wraps, and sandwiches are fresh and filling, but light at the same time. If you’ve read any of my previous posts, you know I love to dine with sharers! This time I went with five girlfriends, each of us ordering something different. We started with Rudy’s Nachos. At the base of these nachos are Sun Chips which are covered with chili, pico de gallo, minced jalapenos, roma tomato, cilantro, and finely chopped onion. Taking the recommendation of our server, we got our order topped with vegan cheese. What?! Who am I?! The standard order comes with muenster and shredded cheddar. 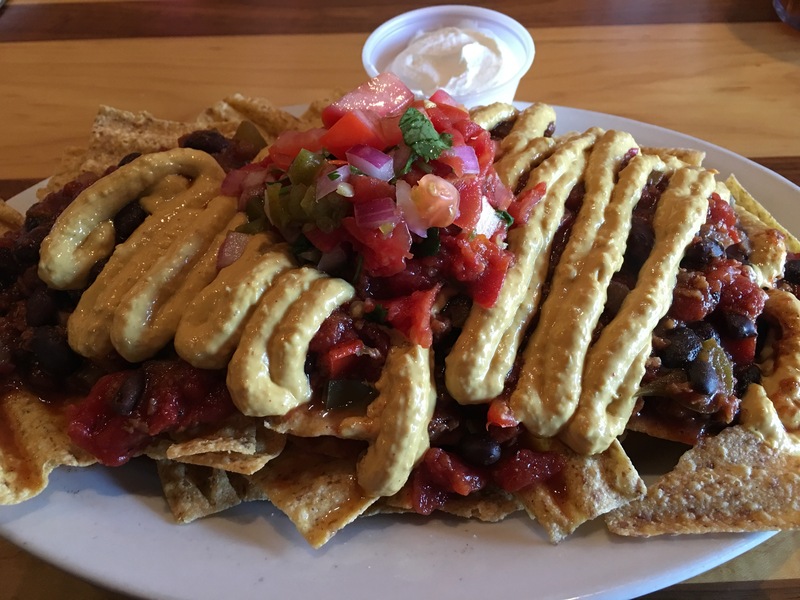 We all agreed that these nachos were both strange and delicious. Even though it was unusual, we couldn’t stop eating until the plate was clean! Like licked clean. Like not even any vegan cheese left on the plate clean. The Rachel: smoked turkey, red smoked cabbage and apples, Swiss cheese, and a tangy sauce melted on Sixteen Bricks Rye. 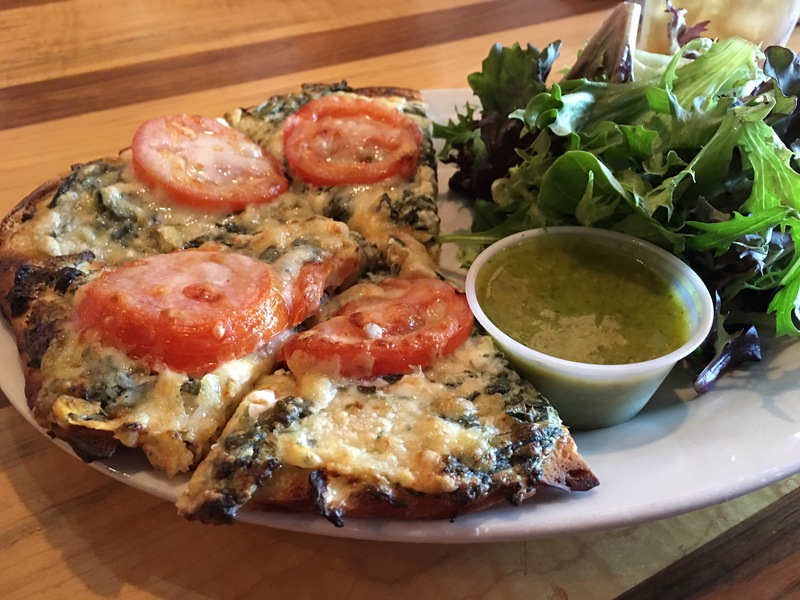 The Artichoke Melt: open faced “melt” with artichoke-spinach spread, sliced roma tomatoes, and white cheddar. Three Cheese: blue cheese crumbles, muenster, white cheddar, and roma tomatoes baked on Sixteen Bricks sourdough. Verde Chicken: chicken, artichoke, zucchini, sun-dried tomato, pesto, provolone, arugula, and balsamic drizzle. Typically this is served on flatbread, but I ordered it on Sixteen Bricks sourdough! It was a wise choice. All these melted sandwiches were seriously good. No exaggeration. I would say the crowd favorite was the Verde Chicken! The flavors are layered and bold, each complimenting the other. 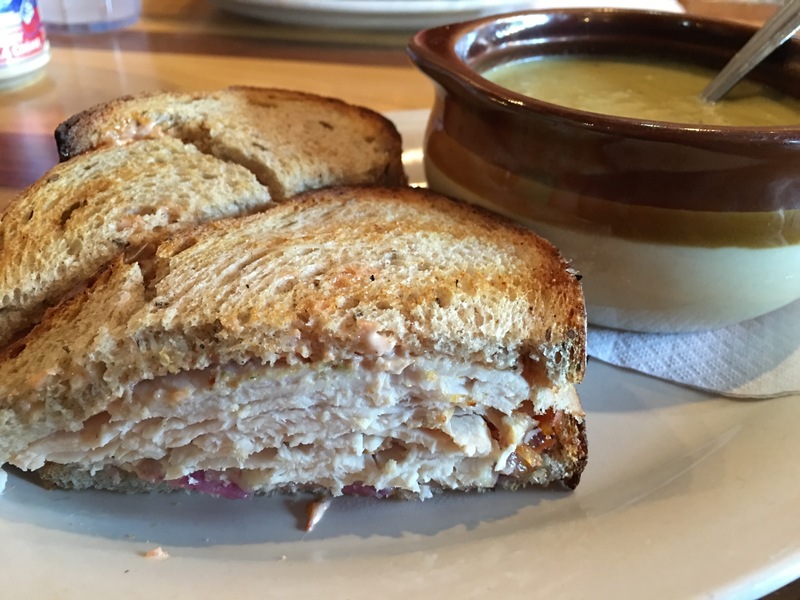 But again, if you like soups and sandwiches, you cannot go wrong here. The Rachel with a bowl of split pea soup. Open faced Artichoke Melt with a salad and Lime Cilantro Vinaigrette. Verde Chicken with a bowl of Vegan Chili. We ended our meal with a little smorgasbord of desserts. Each rich and tasty. 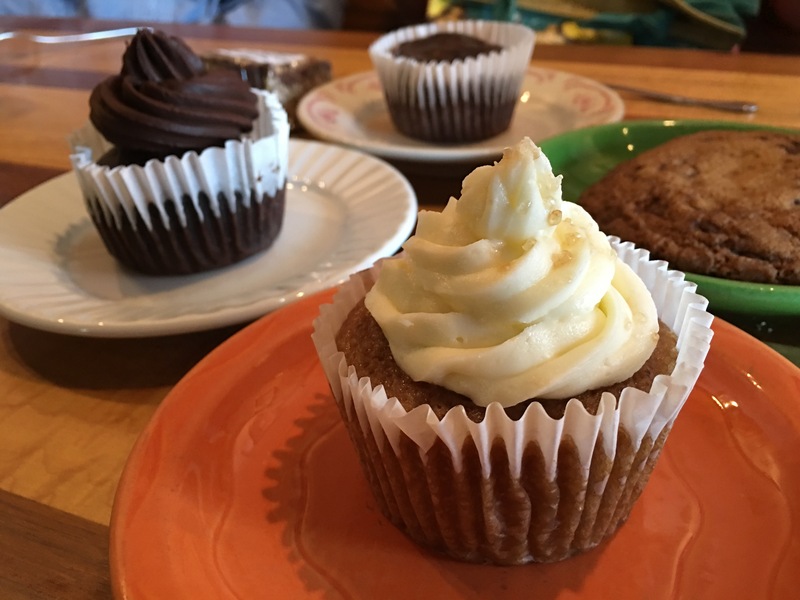 The vanilla buttercream cupcake and the vegan chocolate buckeye bar were the top picks. But, unlike a few of my friends, I always show favoritism toward chocolate and this flourless chocolate torte was moist, dense, and delicious. Somehow, even though there were five people and five desserts, you feel less guilt by sharing. Most desserts are made in-house which I consider a bonus! I cannot wait to go back to Melt. 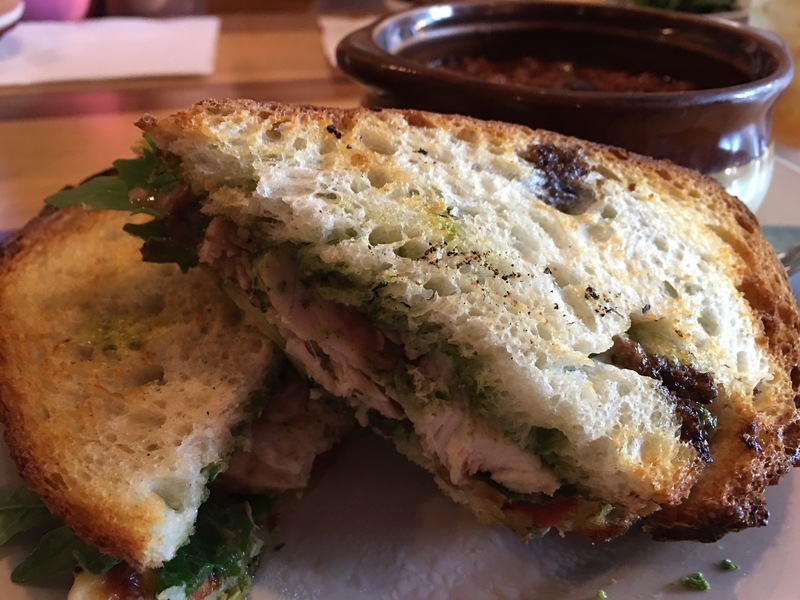 As my friend Amanda said, “the grilled sandwiches are the perfect kind of grilled (that bite of crunch with the melted cheese inside)”! As I often do (although he might argue otherwise), I placed a to-go order for my husband. The girls all concurred that he would love the Hoffner Sandwich (roast beef, marinated mushrooms, red onion, spinach, Swiss, and Horseradish Cream). Again, this was a winner. Oh, and the curry potato salad I got him for a side? Such interesting flavors . . . and definitely not your grandma’s potato salad (no offense to your grandma, but I would take this one over a mayo base any day)! I look forward to trying Melt’s brunch soon! It’s not hard to tell the food is made from scratch and the menu appeals to a wide variety of tastes. Update: Turns out Melt is expanding and will be relocating just across the street. This move, planned for 2017, will provide increased seating and an expanded menu! Sounds like good news to me! GO THERE (Melt)! TRY THAT (Rudy’s Nachos, Verde Chicken, The Rachel)! Marion's Piazza Giveaway x2! Marion's Piazza Winners x2! MELT sounds like the perfect spot for some NEW culinary delights. I love creative menus that stir my imagination and satisfy my tastebuds. Reading your tantalizing blog has made me want to try everything at MELT. Kudos on your fantastic presentation!